Antiques are a beautiful way to preserve a piece of history in your own home and finding the right place to shop is just as important. Whether you’re a casual browser or an avid antique collector, there are items for everyone to find. Collections range from fine china, to vintage sports memorabilia, to antique jewelry. Add character to your home with some historic collectibles. Antiques are a hobby and hunting for the right bargain is an adventure in itself. Take the time to browse the antiques spots below. Whether you’re in need of special services or just want to browse, this Bordentown shop provides both. Furniture cleaning, antique restoration, and antique cleaning are available. They also provide jewelry repair and appraisal and sell many other categories. Valentino’s is a specialty antique shop with rare coins, old jewelry and historical and military memorabilia. The store is a special stop in Cape May that is highly recommended for a visit to see their rare coin gallery. Montclair’s bustling downtown has every type of store possible and the antique center is a gem among them with over 50 dealers. They feature American and continental items from the 19th and 20th centuries but also sell other artifacts, home goods and vintage sports memorabilia. The Old Mill is an antique itself as it is on Mullica Hill’s historical preservation list and one of the town’s oldest structures dating back to the American Revolution. A great variety of items can be found here from chinaware to furniture to vintage toys. Mill House provides a finer, personal experience with experience in specialty and exotic furniture, lamps, clocks, and other house items. They also carry grand pianos and boast selling to the entire Jersey shore area. Check out their eBay store and antique blog for updates on some of their items. 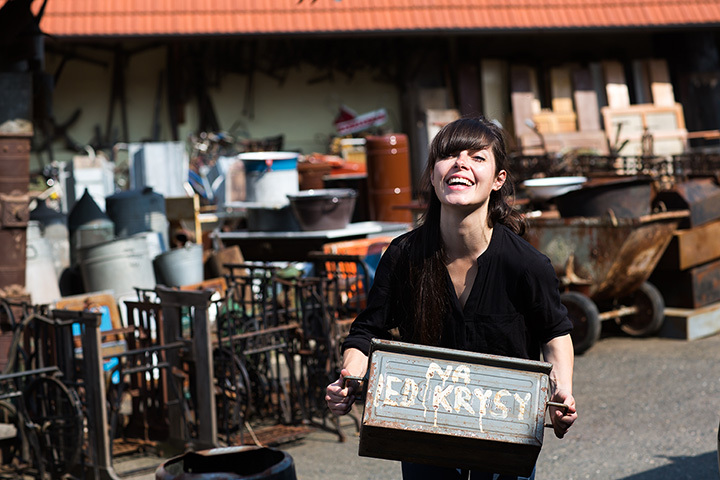 How about an entire antiques flea market to suit your need to hunt for your own personal treasure and special finds? This market is open year-round and was started in 1967. They sell almost anything you’re looking for depending on which vendors are there for the day. Parking is free and plentiful. The charm of Summit’s cozy downtown center is only to with the presence of the antique shop. Over 60 dealers sell their goods here and include decorations, art, furniture, and costume jewelry. It is also within easy walking distance of the Summit downtown area. The Emporium boasts one of the largest, most diverse collections of antiques in the state of New Jersey. Located in a 14,000-square-foot building, over 65 dealers gather at this market to sell toys, pottery, depression glass, old kitchen items, radios, and much more. They also host an antique show every spring. Honey Hole looks to rehome items that can still be used and a future buyer’s bargain. They sell furniture, vintage clothing, books, house wares, and jewelry. It is a part of Keyport’s larger antique district in the downtown area.